I'm finally sitting down after a whirlwind of a weekend! It was a good one. I'll start with Thursday. Grocery day. Does anyone else feel like they're in the grocery store for days? I feel like I go in and come out about twenty years later with the sun being too bright and feeling all alone...Haha! I'll tell ya, I came out on Thursday and the snow was really pretty. However, I was quickly reminded of how much fun it is to push a loaded grocery cart through sludge and snow...talk about a workout! LOL! 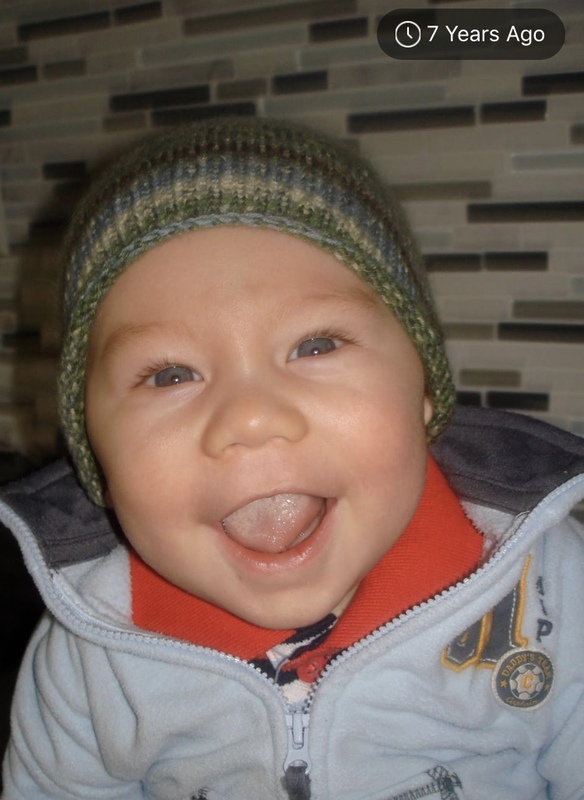 My Facebook reminded that I once had a baby Henry. Oh my gosh. I remember taking this picture like it was yesterday. My heart. Oh my heart. I don't even remember him having blue eyes! No worries though. Babies are fun, but so are five year olds! L to the O to the L!!! I was making dinner last week and turned around to find Eliza like this. I've had two coffee makers break on me in a month so I've been frequenting the McDonald's drive-thru for some coffee in the mornings. Yes, I still drink coffee while pregnant, but as you can see I don't drink much. Actually, I thought I had drank too much, but once I removed the lid I realized I hadn't had much coffee at all. Geesh, I'm such a lightweight! Jon and I had a breakfast date with our neighbors on Friday, so he accompanied me to drop off the kids school. Eliza was thrilled! After breakfast we hightailed it to a Menard's to pick up tile for our master bathroom. Jon had received a call from our contractor in regards to him possibly starting on Monday. We, of course, said yes, but knew we needed to get as much material together as possible on Friday. We arrived home and I started cleaning my house as fast as possible, the in-laws were coming over the next day to watch the kids for the night and my house had been neglected after a week full of volunteering, grocery shopping and running around with/for the kids. I got to cleaning the couch, doing the dishes, cleaning up the kitchen, cleaning out the guest bedroom, cleaning out closets, vacuuming, wiping down countertops, sweeping, mopping and laundry. We had Jimmy John's for an early dinner and then we had to get the kids ready for their annual pictures with Santa. These two were all about Santa this year! Their lists were hilarious and Eliza's smile with Santa was sooo fake, but soooo great! I can't wait to get the pictures back! Once home, we tucked in the kids and I got to work on loads upon loads of laundry. You guys, I did laundry from 9:30 - 1:00 a..m. It was ridiculous. My body was exhausted from all of the cleaning and running around from the day and I felt like a dead man walking. It was a tough night. The next day came waaaay too soon, but it was to be a day of fun. My in-laws arrived at our house at 9 a.m., I finally showered and packed, we kissed the kids goodbye and then Jon and I and our neighbors, Tom and Amy, hopped in the car and headed to Grand Rapids to meet up with my sister and my brother-in-law, Derrick for some food, drinks (not for me, of course) and fun! I really wanted to stop at Liz Marie Galvin's store, The Found Cottage. It's one of my favorite stores! Tom and Amy were awesome and didn't mind stopping by for a visit, too! Next up we went to a boat store. Jon and I usually visit the boat store every Black Friday, but this year we're not going to the one by our parents' houses, so it kind of worked out that this store was a little less than ten miles away from The Found Cottage. I remembered from a time before that this particular branch had a candy bar!!! You guys, I've been craving chewy Sprees for ever!!!! I finally got some, in fact I ate so many that I went for seconds! I could eat these all day! We made it to our hotel, dropped off our luggage and then all who could drink, did. Jon, Tom and Amy started off with some adult beverages. Me, a water. Sad face. Marie and her water...and pop! Oh, I was being such a rebel! My sister, Kimmy, Amy and myself! A mocktail for this Mama! The B.O.B in Grand Rapids. We got here just in time. By the time we left there were lines in all directions just to get in. This game of JENGA was intense! Our team was REALLY excited! My sister was awesome and sang some karaoke! The next morning I realized that I hadn't even taken a picture of our room, nor had I taken a picture of our view! This coffee machine confused me. I hadn't drank, obviously, but I did stay out late. I accidentally made a shot of espresso. That was a no-go for this lady. I eventually got it figured out. Phew! After a few sips of coffee, Jon and I headed downstairs for breakfast with Tom and Amy - and it was delicious!!! Once we finished with breakfast we headed back up to our room to grab our bags. This was the view looking down into the lobby. Talk about getting dizzy! Wowza. The rest of Sunday consisted of Jon and I napping, not being the most active with the kids (yikes) and ordering pizza for dinner. I don't think I've ever eaten out so much in my life! It was awesome!!! Our contractor arrived around 7:20 on Monday morning, the kids have two and a half days of school this week, I got some more Christmas shopping done this yesterday and then headed to the coffee shop for a peppermint mocha. Once I arrived back at home I hid out in my basement while lots of pounding and ripping out of things went on above me! Exciting stuff! 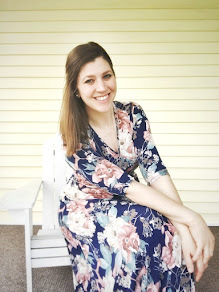 I'm hoping to share some Christmas fun here on the blog this week, so stay tuned! 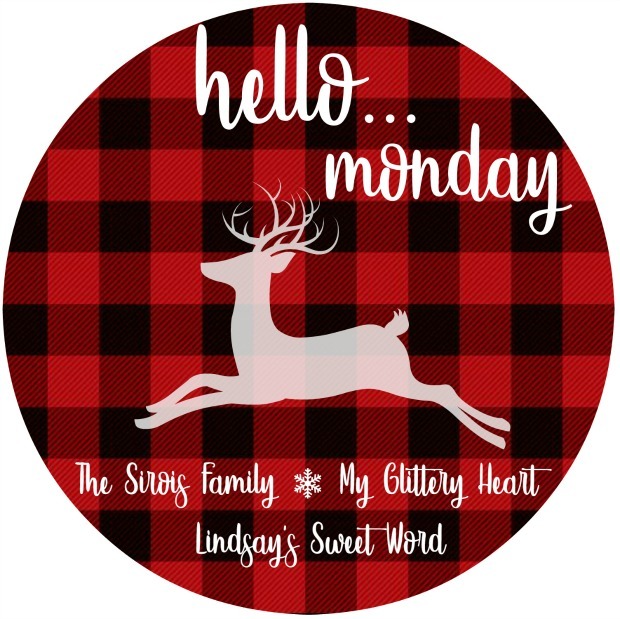 I'm linking up with Lindsay, Johannah and Heather for Hello Monday!